We’ve been talking about Kansas state parks of particular interest to RVers. In this post, we’ll look at three parks in scenically diverse settings in the eastern half of the state. All three should be on your list of Kansas state parks to visit by RV. In the Sunflower State’s majestic Chautauqua Hills, this park wraps the western shore of Toronto Lake. Picture closely spaced oaks marching down to a rocky shoreline, and you’ve got a good idea of your surroundings while camping at Cross Timbers. The area is popular with anglers, thanks to consistent populations of white and largemouth bass and flatheads. Old-growth woodlands and abundant wildlife draw nature enthusiasts and photographers year-round. 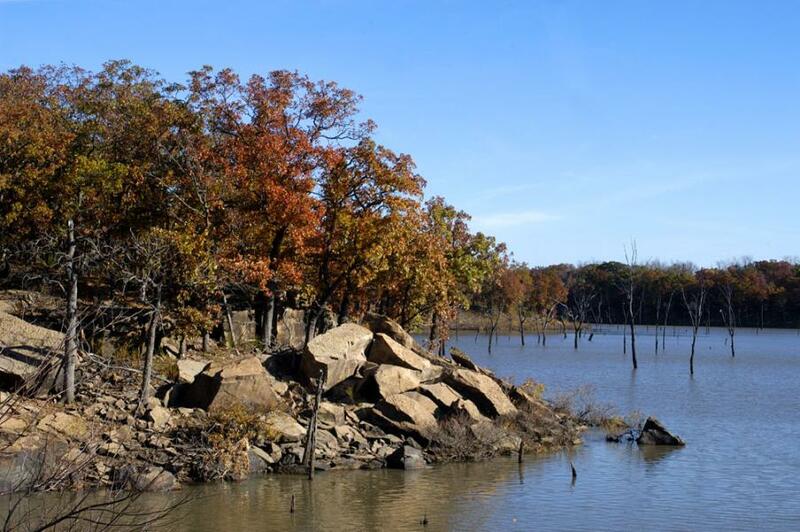 Hiking, mountain biking and paddling trails round out a memorable place to be outdoors in Kansas. You’ll find this rural park 12 miles west of Yates Center via US-54 and KS-105. The majority of the 77 RV campsites in the park’s campgrounds are standard electric and water sites, but there are a few with full hookups, as well. 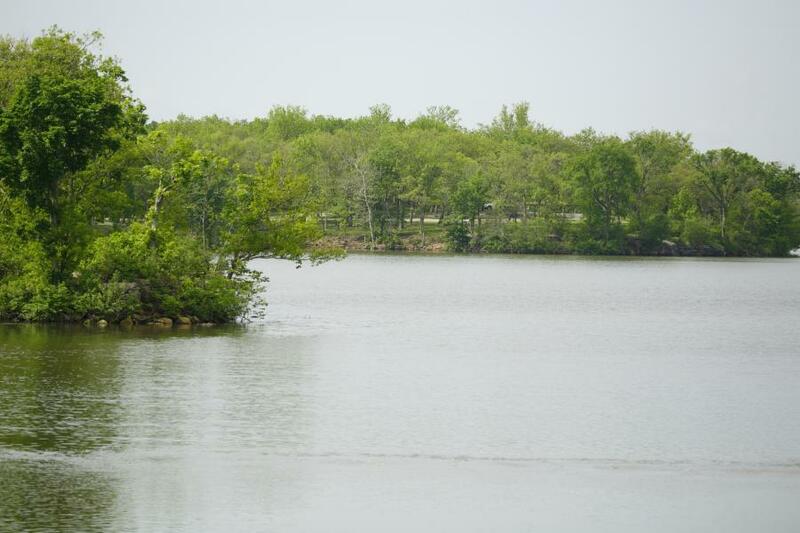 Amenities include showers and restrooms, boat ramps and a swimming beach. This park is near the town of Paola, an easy drive from Kansas City via US-169. If you’d like to tie in a trip along the Frontier Military Historic Byway (US-69), take KS-68 west when you reach Louisburg to find the park. It’s a newer state park, with a 4,500-acre lake surrounded by grassy hills. If you enjoy getting out on the water, bring your watercraft—the lake is easy to access and boasts a full-service marina. You can also rent a boat while you’re there. Camping options include both full hookup and electric/water campsites, with about 300 to choose from in dispersed campgrounds around the lake. The campsites are roomy and easy to maneuver. Services available in adjacent small towns, as well as the easy drive into Kansas City, make this a convenient home base for an extended RV camping vacation. This park, also easy to access off the Frontier Military Historic Byway, rounds out our trifecta of Eastern Kansas state parks. Located between Fort Scott and Pittsburg on the western edge of the Ozarks, this small park’s rugged beauty will tempt you to follow its trails as soon as you make camp. The state park surrounds a small lake known for its bass and channel cat fishing, so tempt your favorite anglers to come along, too. You can even book a tour of the adjacent fish hatchery. Be sure to bring your camera or sketchbook along on your RV camping trip to Crawford State Park. Several trails wind their way through spectacular scenery unmatched in Southeast Kansas. RVers can find a combination of 66 50-amp and 30-amp sites within six wooded, lake-view campgrounds, making the park accessible to all levels of RV camping. 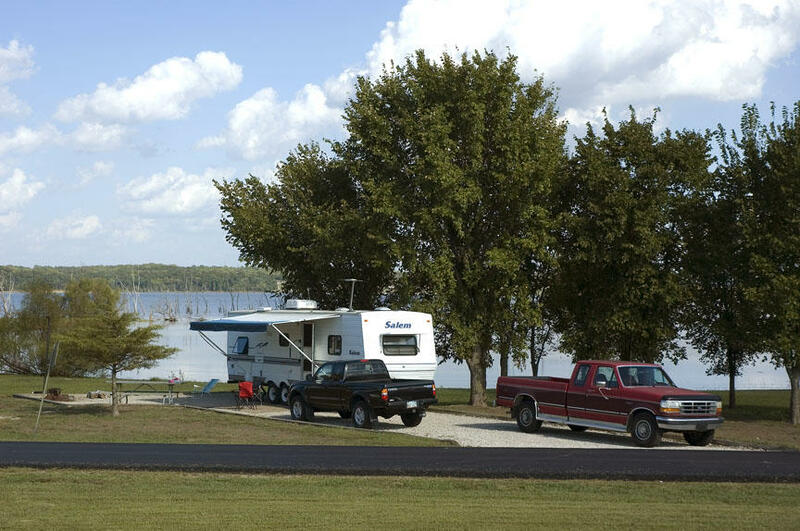 Add in the convenience of an on-site dump station, multiple bathhouses and a marina with a restaurant open on weekends and you’ve got the formula for hassle-free RV camping at the lake. If you’ve never experienced camping by RV in Eastern Kansas, it’s time you gave yourself that gift. Why not visit all three state parks to enjoy the diverse beauty that’s waiting within a three-hour drive? Easy drives, stunning scenery and plenty to enjoy while RV camping … isn’t that what Kansas camping vacations are all about?